He’s simply known on California’s Mendocino Coast as Al B. Tross — “Al” for short. And he’s back at Point Arena Cove for the 14th straight year. A Laysan Albatross, Al usually arrives in late November or early December near the pier at Point Arena Cove and stays for several months. 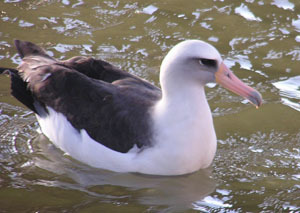 What makes Al unusual is that he is the only albatross anyone has seen on the West Coast. These large seabirds breed on islands in the mid-Pacific, especially islands in the Hawaiian chain. Intrepid birdwatchers who venture out in large fast boats occasionally see them in the ocean waters of the North Pacific and the Gulf of Alaska. But seeing Al in Point Arena is a huge event for mainland U.S. birders lucky enough to spot him on Mendocino County’s south coast. The Laysan Albatross is a little more than two feet in length with a wingspan of over six feet. It has black wings and tail, a white head and body, pink legs and webbed feet. There is a soft gray and black patch around and under its eyes. It has a large gray to yellow-orange bill with a black hooked tip. Males and females look alike. Al was first discovered on Nov 30, 1994 by a visiting birder. He left the sheltered waters of Point Arena Cove on March 18 of the next year. Then, to everyone’s surprise, he returned in the fall of 1996. County birders have recorded the bird’s arrival and departure dates since that memorable first encounter. Al typically arrives around Thanksgiving and leaves by the end of March. This will be his, or her, 14th consecutive winter vacation in Mendocino County. He is often seen or photographed quite easily from the public pier. When storm winds blow from the south, he seeks refuge in more protected locations out of the public view. On Wednesday, November 28, you can support the Mendocino Cost Humane Society and have a fabulous meal by attending Dine-Out Night at the MacCallum House Inn and Restaurant in Mendocino. MacCallum House donates all of the proceeds to the non-profit organization it’s honoring for that evening. The MacCallum House (45020 Albion Street, Mendocino) will be serving their regular menu on November 28 from 5:30 p.m. to 9:00 p.m. Please make your reservation as soon as possible by calling 937-5763. “Mendocino Coast Humane Society was created by Coastal residents who wanted a “no-kill” alternative to the County’s Animal Control. The new Shelter was completed in July 2001 with the help of many donors and the tireless efforts of staff and volunteers. The Shelter provides a warm, comfortable and secure home for our animals. ” Visit the Mendocino Coast Humane Society for more details. Heads up bird lovers! Fred Andrews from California State Parks is leading a bird walk this Saturday, starting at 11 am; meet in the Cleone parking lot at MacKerricher State Park in Fort Bragg. It’s going to be a gorgeous day on Saturday, with temps in the mid-60’s. This is a don’t miss activity for the family! This photo by photographer Bob McDuell shows the 17P Holmes Comet’s halo and its outer aurora. Ancient Greeks thought the heavens were perfect and the earth imperfect, therefore any unusual object in the skies such as a comet was a bad omen because it was closer to the earth than the stars. Astronomers diligently searched the heavens for comets, logged their appearance and made their presence known to the rulers who based important decisions on them. One of these astronomers was Edwin Holmes who discovered the comet 17P Holmes which is named after him. He spied the comet on November 6, 1892. The comet orbits around Jupiter and the Sun and during the 1892 orbit, the comet seemed to explode, just as it’s doing today. The comet really isn’t exploding. As it nears the sun, its interior is heating. The heat is causing volcanoes at its surface which are expelling gas into space around it so it looks huge. Saturday, November 17, 6:30 pm at the Ford House in Mendocino, interested star-gazers might be able view comet 17P Holmes through the new telescopes donated by Out of this World to Mendocino Area Parks Association (MAPA). 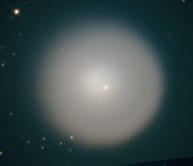 Although the potential for viewing the comet looks promising for the 17th, comets can fizzle or brighten without warning. Weather permitting, other astronomical viewings will be the Andromeda Galaxy, the Pleiades, moon, star clusters, nebulae, Uranus and Neptune and more. 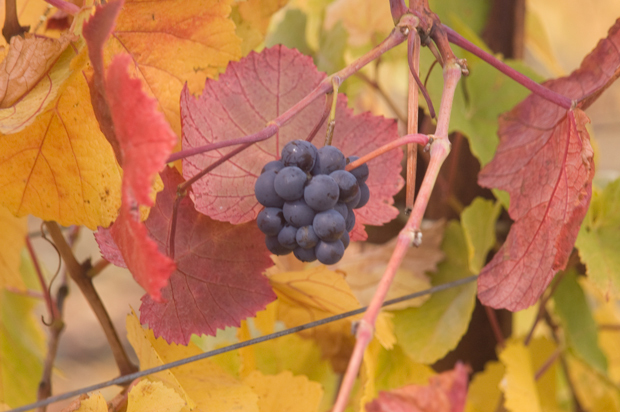 Meet behind the Ford House museum at 6:30 p.m., 735 Main Street, Mendocino. Telescopes will be provided, but bring your own flashlights and volunteers will cover them with red cellophane. Be sure to dress warmly. In case of rain or fog, the backup plan is an indoor program: The Sun, Our Star, given by Charles Poplinger. Sponsored By: Ford House Museum/Visitor Center; Out of This World in Mendocino; Mendocino Area Parks Association (MAPA); and California State Parks. For more information: Ford House, 707-937-5397; Out of this World, 707-937-3335.